We value our content and our journalists, so to get full access to all your local news updated 7-days-a-week – PLUS an e-edition of the Arran Banner – subscribe today for as little as 48 pence per week. An announcement is expected within days on a revised timetable for the completion of the much delayed new Arran ferry. 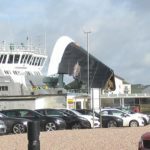 Transport Secretary Michael Matheson last week admitted at the rural economy committee in Holyrood that the new Arran ferry might see further delays. After a year of delays, the £48.5 million ferry was due to be delivered by Clyde shipyard Ferguson Marinte to Caledonian Maritime Assets Ltd (CMAL) next summer coming into service later in the year. 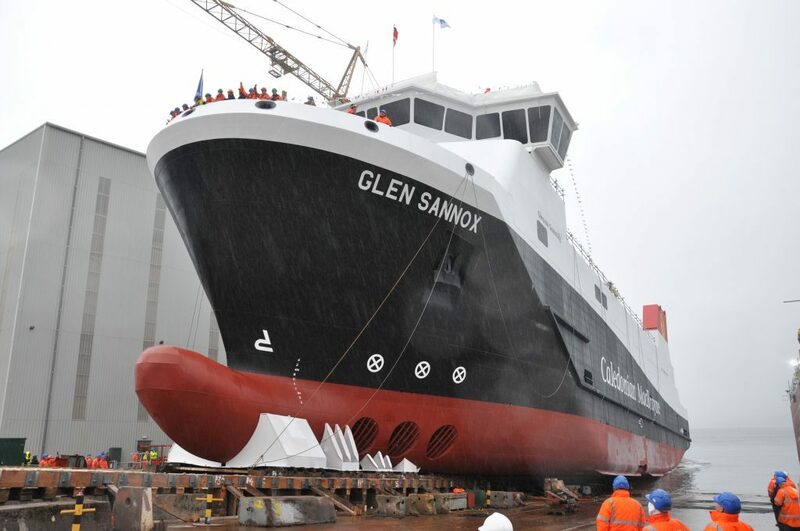 A second sister ship is also under construction at the Port Glasgow yard. However, there is increasing speculation that it will be 2020 before the ferry comes into service on the Ardrossan to Brodick route. 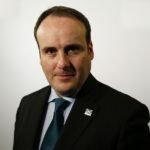 West of Scotland MSP Jamie Greene said: ‘When asked whether there would be further delays to the completion of the new Arran ferry, the transport secretary quite clearly was not confident the delivery date still is the actual delivery date. The ferries are already one year late, it is simply not good enough. ‘Both mainland and islands residents have had to endure over 12 months of delays, disruptions and cancellations because of issues with the current ageing vessels. After already having been pushed back by a year, people will be dismayed to learn that the new vessels could be delayed even further. ‘This is a lifeline route for people on both sides of the shore, many rely on the service to access key public services such as healthcare, education, farmers need it to move livestock and businesses rely on dependable connections. Get the latest headlines to your inbox. Sign up for The Arran Banner Newsletters to get updates on our top stories. Headlines from 12pm every day. We at The Arran Banner & Oban Times endeavour to ensure that all our reports are fair and accurate and comply with the Editors’ Code of Practice set by the Independent Press Standards Organisation (IPSO). We realise, however, that mistakes happen from time to time. If you think we have made a significant mistake and you wish to discuss this with us, please let us know as soon as possible by any of the three methods: emailing editor@obantimes.co.uk; telephoning the editor on 01631 568046; writing to the Editor at The Editor, Wyvex Media Limited, Crannog Lane, Lochavullin estate, Oban, PA34 4HB. We will attempt to resolve your issue in a timeous, reasonable and amicable manner. However, if you are unsatisfied with our response, you can contact IPSO, which will investigate the matter. You can either telephone IPSO on 0300 123 2220 or email inquiries@ipso.co.uk. IPSO is an independent body which deals with complaints from the public about the editorial content of newspapers and magazines. We will abide by the decision of IPSO.